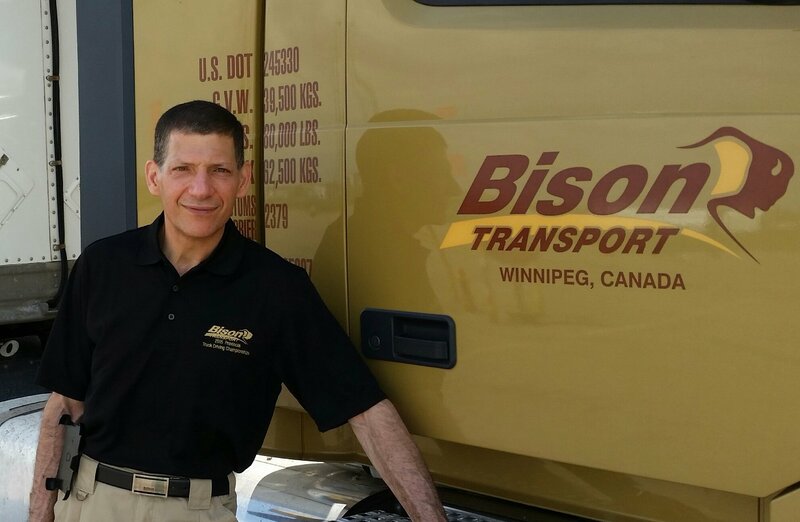 I joined Bison Transport almost two years ago as the Saskatchewan Terminals Manager. It was my first foray into the transportation industry after spending a 32-year career as a police officer with the RCMP. There has been a steep learning curve since I came aboard with Bison, and I was, and continue to be, impressed with Bison’s Mission and Core Values. Not only are these values demonstrated daily with its employee and customer relationships, but also in the spirit of community-giving so often put forth by dedicated Bison staff. Throughout my career as a RCMP Officer, I was fortunate to be able to serve Canadians and their communities. It was truly a rewarding career, but I did witness many gut wrenching events that one might expect in a career such as mine. The most heartfelt human suffering is when children are harmed or affected. The opportunity to make a difference, even just once, which could avoid any of these tragic events, brings its own self-satisfying rewards and fulfilment. A few months ago I was speaking with another retired police officer that I had worked with while in Winnipeg more than 20 years ago. Like myself, had a rewarding career and retired in 2015. At the time of her retirement she was in Ottawa and was the RCMP Officer In-Charge of the National Centre for Missing Persons. Since her retirement she became part of the Board of Directors with the Missing Children Society of Canada (MCSC). She went on to explain what the MCSC does and we discussed how, in my current role with Bison Transport, I could assist helping to keep children safe. I became a police officer to make a difference: to help make Canadians and their communities safer. Even though I have retired from policing, I still look to make a difference – and you can as well. The MCSC was established in 1986 to assist police and families in active and ongoing searches for missing children, helping to bring answers and return missing children to a safe haven. Bison is partnering with the MCSC in a new Bison Cares initiative. All Bison employees and Drivers are encouraged to download the CodeSearch app. CodeSearch is a rapid response program in the form of a smart phone application that directly engages partner organizations, like Bison, in the search for missing children. Once signed up to the app, users will receive notification of children likely to be in their vicinity who are deemed at risk. The notification includes information about the missing child, as well as a photo, emergency contact information, and what to do if they see the child. 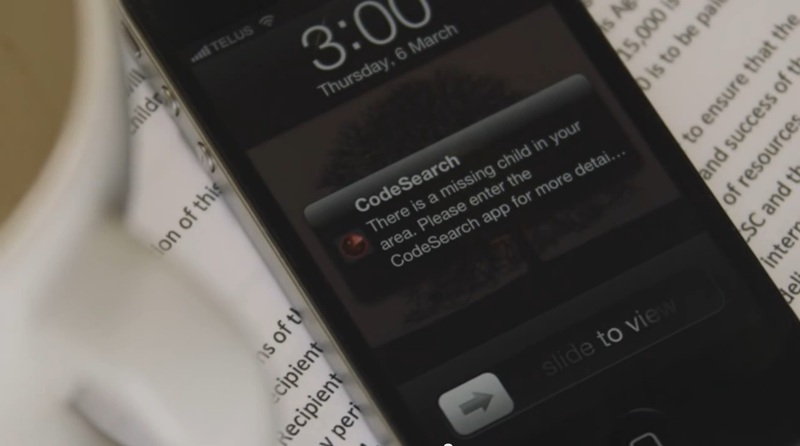 The main goal of the CodeSearch app is to restrict the movement of a missing child. I’m happy to have the support and encouragement of Rob Penner, our President and CEO, as we launch this initiative. “It costs nothing to do this. We have an opportunity to do something meaningful, and restrict the ease of travel, which reduces the likelihood of abductions. You don’t even have to open the app,” said Rob when I spoke with him about getting this partnership off the ground. “As the first trucking company onboard, we need to, and have a responsibility to set the tone and create momentum. This is a great opportunity to provide leadership in more than just trucking. We are a people-based business with presence across Canadian communities. In fact, we are the launch pad for the Canadian trucking industry,” Rob said. Bison’s partnership with the MCSC offers all of us at Bison the opportunity to help our communities in real-time and in a significant way. With the use of social media and with our assistance, and assistance from throughout the trucking industry, this provides a real ‘game changer’ in raising the odds in recovering and reducing harm for our children throughout Canada. Collectively we can all make a difference! Please go to www.mcsc.ca to learn more and download the app.